If you know me very well you know that I don’t like to drive in a lot of traffic. It just seems like I get a little frustrated when I don’t know what is going on. I know that I am surely not the only one that feels that way. Vicki gets a little frustrated with me because she has such a calm spirit in her. She can go through those times and just roll with the flow. That is unless I’m driving! I am quite positive that my driving pushes her to the limits. In fact lots of times she pushes her foot down on the passenger’s side to slow me down. Yet I wouldn’t change her for anything. Just the other day we were driving and I was trying to make a U-turn. I was watching the traffic in my side mirror and looking at the oncoming traffic looking for an opportunity to make the turn. After just a few moments I started to pull out. Vicki yelled – Watch out! I hit the brake just in time as a car went by. I then pulled out and made the turn. It was then she asked – “Didn’t you see that car?” I told her that I didn’t. Evidently it was in my blind spot. When we got back to the house, I kept thinking about what had happened. I just paused and thanked God for Vicki being alert and for Him not letting me hit the car that was passing by. 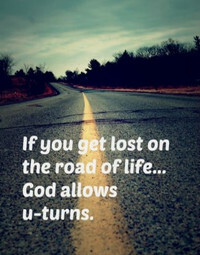 Sometimes life can lead us to a place where we need to make a U-turn. It causes us to look around and make sure that making the turn is safe and there isn’t anything that will bring us harm. It sounds easy, but we must still be cautious that we have factored in all that is around us. Whenever we are walking through life we can encounter times when things get out of line. That is the time when we need someone there to direct our steps in the way we need to go. Sometimes it may even be that we need to make a U-turn and move in a new direction. Ezekiel was to watch out for the people and to help them be aware of what was going on around them. In reality, the call we have as Christians is to warn people of the dangers they will face unless they turn from the way of this world. It is important for us to proclaim the Good News of Jesus to everyone. They need to know that regardless of what situation they may find themselves in, by turning to Christ, they can find freedom from the past. Sometimes people need to make a U-turn because the direction they are heading is the wrong way. The OT word is Shub. This word expresses a radical change of mind toward sin and implies a conscious moral separation from sin and a decision to forsake it and agree with God. My OT professor said it was to turn around and go the opposite direction. I would say that it means to make a U-turn. But watch out when you do because satan is going to be doing all he can to make sure you run into something to throw you off. 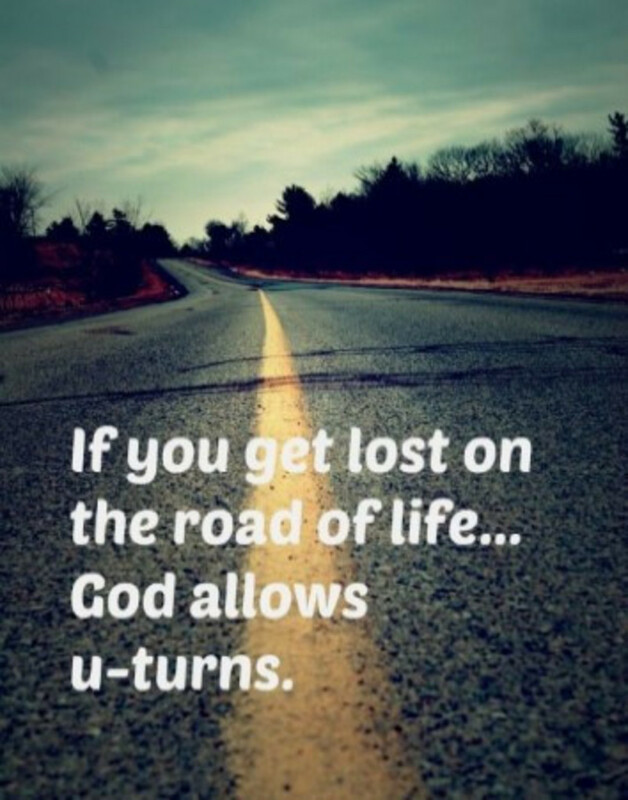 Now may be the time when you need to make a U-turn in your life. Keep your eyes on Jesus and He will lead you safely through the turn.